Happy Galentine’s Day! Brought to us by the ladies on Parks & Rec, Galentine’s Day is described by character Leslie Knope as “a women’s-only marathon bonding session with tones of whipped cream.” In other words, the day before Valentine’s Day is a time to spend with your best friends, relaxing and enjoying each other’s company. 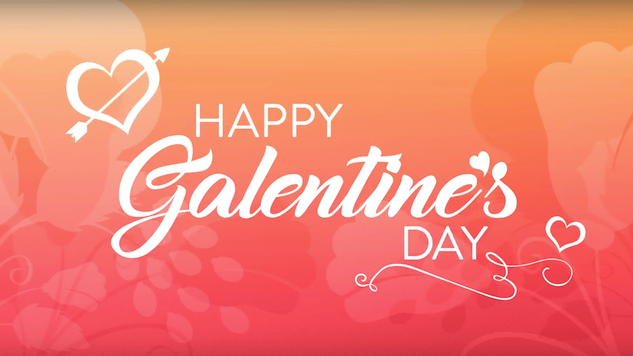 Hulu is celebrating the should-be national holiday by streaming all seven seasons of the much-beloved The Golden Girls—watch Hulu’s Galentine’s Day promotional video below. The streaming service also did a survey on the best ways to spend Feb. 13. According to those surveyed, the best way to spend Galentine’s Day is a boozy brunch, watching The Golden Girls, wearing PJs, drinking wine and eating pizza. Sounds like a pretty fantastic holiday to us. See the entire infographic, complete with runner-ups, below.